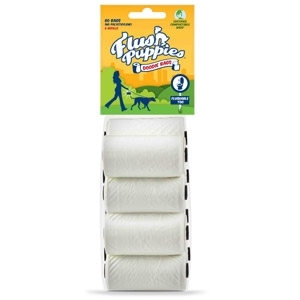 Flush Puppies are plastic free and officially BPI Certified Compostable. While we recommend flushing, if you are not that ambitious, please toss in the trash and know that you are not using a plastic bag! Down the toilet or in the trash; either way, the enviornment wins with Flush Puppies!